Yisrael Beytenu party leader Avigdor Liberman on Wednesday ruled out recommending Blue and White chief Benny Gantz as the next prime minister, but said joining a government headed by Benjamin Netanyahu was not a given. “The existing options are joining Netanyahu’s government or staying in the opposition,” said Liberman, who according to near-final results has won five seats in the next Knesset. 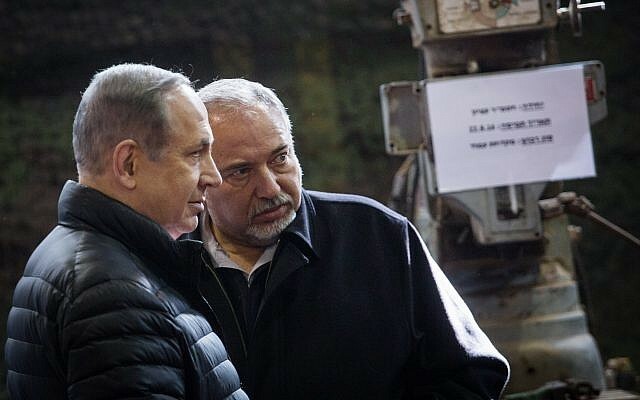 Liberman quit as Netanyahu’s defense minister in November, fiercely criticizing the premier over his defense policies. 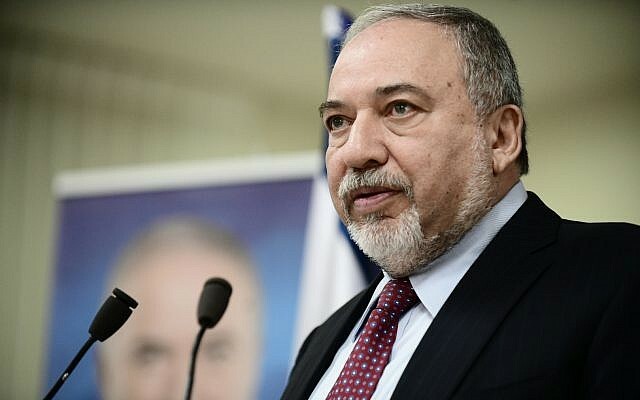 Asked whether he would demand the defense portfolio, Liberman merely answered there would have to be agreements on defense policies. Liberman, who is unabashedly secular, also said there would have to be agreements on civil issues and church and state, despite both ultra-Orthodox parties increasing their strength with eight seats each and the religious Union of Right-Wing Parties getting five. “With all due respect to the ultra-Orthodox who got 16 seats and the Union of Right-Wing Parties who are no less Haredi than United Torah Judaism and Shas, we see the balance of power but don’t have to accept it,” Liberman said. Netanyahu clinched a clear electoral victory Wednesday morning, with some 97 percent of votes showing his Likud party tied with Blue and White, but the right-wing bloc with a clear lead and Netanyahu possessing a clear path to forming a governing coalition. Netanyahu’s office said he was deep in talks to form a coalition early Wednesday, with ultra-Orthodox and other right-wing parties lining up behind him. On the other side of the aisle, Likud’s main rival in the election, the Blue and White party led by Benny Gantz and Yair Lapid, won 25.94% of the vote, which would also give them 35 seats. 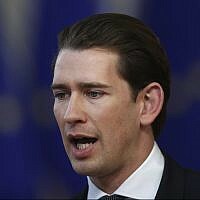 Four left-wing and Arab parties combined for just 20 seats, seemingly putting them in the opposition with Blue and White, pending coalition jostling. Election official said turnout was 67.8%, down from 2015’s turnout of 71.8%.